Draft: 2009, Toronto Blue Jays, 9th rd. Aaron Christopher Loup...son of Chris and Ineta...has one brother, Logan...he and his wife, Leighann, have two children, Sophie (born 8/23/13) and Wyatt (10/20/15)...if he was not a professional baseball player his career choice would be a pro bass angler...enjoys watching Major League Fishing...enjoys Eric Church music and his favorite song is Rodeo by Garth Brooks...roots for the New Orleans Saints...attended Hahnville High School in Louisiana...named a two-time First-Team All-District 6-5A and all-metro...helped lead Hahnville to four state playoff appearances behind a combined 32-7 record and 121 strikeouts...attended Tulane University and majored in digital design. Made 59 relief appearances between TOR and PHI, pitching to a combined 4.54 ERA (20 ER, 39.2 IP), a 3.61 FIP (FanGraphs) and 9.98 S0/9.0 IP ratio (44 strikeouts)...acquired by PHI from TOR on 7/31 in exchange for RHP Jake Waguespack...Limited left-handers to a .268 AVG and .341 SLG with no home runs allowed...Posted scoreless outings in 20 of his first 25 appearances from 3/29 through 5/29, recording a 2.82 ERA (7 ER, 22.1 IP)...Allowed just three hits and one unearned run over 11.0-scoreless IP and 12 appearances from 5/5 to 5/29...Went on to allow a 9.53 ERA (6 ER, 5.2 IP) in 12 June appearances and a 5.87 ERA (5 ER, 7.2 IP) in 13 July appearances...After being acquired by PHI on 7/31, tossed eight scoreless outings in his nine relief appearances with a 4.50 ERA (2 ER, 4.0 IP)...Tossed 1.0 IP-or-more in 22 of his 59 combined appearances and 2.0 IP on two occasions. Struck out a career-high 64 batters (56 in 2014) ... Played in 70 games, one shy of his career high from 2014 and T-8th among AL pitchers ... Struck out a career-high five batters on April 7 at TB ... On May 5 at TB, earned his first win since June 13, 2015 at BOS (64 games apart) ... Surrendered his 1st home run of the season on May 10 vs. CLE, his first HR allowed since June 9, 2016 vs. BAL (29 G, 25.0 IP apart) ... On May 30 vs. CIN, allowed an extra-base hit to a left-handed hitter (a double to Scott Schebler) for the 1st time of the year (35th batter faced) ... Walked three batters to tie a career high for the 3rd time in his career on June 30 vs. BOS (last: April 27 at STL) ... Appeared in his 300th career game on Aug. 14 vs. TB, the 8th different Toronto pitcher all-time to make at least 300 relief appearances ... Fanned four of five batters on Aug. 27 vs. MIN for his 4th career 4+ strikeout effort ... Took his 3rd loss on Sept. 1 at BAL as he allowed a walk-off double to Jonathan Schoop in the 13th inning ... On Sept. 23 vs. NYY, had a streak of 14 straight batters without allowing a hit snapped ... Posted a 1.08 ERA (16.2 IP, 2ER, 8BB, 22K) with just two extra-base hits over his last 22 games. Was designated for assignment off the 25-man roster on Aug. 27 and sent back to Buffalo the following day...Re-joined the Blue Jays on Sept. 6 after the Buffalo Bisons' season ended...Was named to all three postseason rosters (ALWC, ALDS, ALCS), but did not appear in a game....Recorded only 14.1 IP in 21 games with TOR in 2016, both career-lows.... Made his season debut on May 28 vs. BOS after being reinstated from the disabled list...Struck out both batters he faced...Appeared in six games during his rehab assignment (3G with Dunedin & 3G with Buffalo - combined for 4.2 IP)... Began the season on the 15-day disabled list with left elbow soreness (April 3-May 27). After returning from Triple-A Buffalo on Sept. 1 did not allow a run over 12 appearances (6.0 IP), with opponents hitting .280 (7-25) off of him. His 4.46 ERA and .275 opponents' average were the highest of his career. In five games for the Buffalo Bisons this season, posted a 4.50 ERA (3ER/6.0 IP) with an opposition average of .360. Ranked 3rd among AL relievers with a 6.57 SO/BB rate & 7th with a 1.49 BB/9 ratio. Allowed 10ER over 10.1IP from June 20-August 16 (18G) before being optioned to Buffalo. Suffered his 4th loss of the season on June 20 vs. BAL after surrendering 3-ER in the 9th inning…Had given up just 1ER over his previous 11.1 IP. Prior to this season had held LH hitters to a .159 average and a .235 OBP in his career...In 2015 LH Hitters batted .275 with a .342 OBP. Appeared in four games out of the bullpen for the Blue Jays, making his postseason debut October 9 vs. TEX (0.2 IP, 0R, 0H). Allowed one earned run over 2.0 IP (four games), surrendering one hit to the seven batters faced. • Stranded six of his seven inherited runners. Did not appear in the ALCS... Left team to attend to a personal matter. Held left-handed batters to just a .159 average. In games in which he worked more than 1.0 IP posted an ERA of 0.86 (3ER/31.1 IP). Allowed an earned run in nine of his last 55 games, since May 5, posting a 2.65 ERA over that span (16ER/54.1 IP). Inherited 66 runners this season, the most among all Major League relievers…Stranded 51 of those inherited runners. Recorded a career-high four saves this season in nine opportunities. Issued 30 walks this season, a career-high and more than double his previous high of 13 set in 2013. Surrendered his first home run July 7 at LAA … Marked the first home run he had given up since Aug. 7, 2013 at SEA, a span of 54.0 innings pitched. Tossed a career-high 15.2 scoreless innings, a span of 15 appearances, beginning May 5 until it was snapped June 7 vs. STL. Did not allow a hit to a RHB until May 3 at PIT, a span of 23 batters. Took the loss April 20 at CLE, his first of the year…It marked the first time in his career (105 appearances) to walk three batters in a single game. Made 44 consecutive appearances before surrendering the 1st home run of his career on April 30 vs. BOS, setting a club record for longest stretch to begin a Blue Jays career. In the 21 games in which he worked more than 1.0 IP posted a 1.41 ERA (6ER/38.1 IP). Ranked 6th among AL relievers with 1.69 walks per nine innings this season. Walked batters in three straight games for the 1st time in his career in his 83rd, 84th and 85th career games August 13- 20 … Had not walked batters in consecutive appearances prior to this stretch. Allowed just three earned runs over 26.1 IP (1.03 ERA) through May and June. Among all AL pitchers was T-2nd with 5 pickoffs…Teammate Mark Buehrle was 1st with 6…Was only pitcher in top 10 to not have at least one game start. Threw 13.2 scoreless innings over 12 games from May 28-June 28. Recorded his 1st career save after throwing a career-high 3.0 scoreless innings April 12 at KC. Earned his 1st career win on April 10 at DET. Made 33 appearances in his first Major League season...Held opponents to a .232 average, including .207 mark and only two XBH (2-2B) vs. left-handed hitters...Made his Major League debut on July14 vs. CLE, tossing two perfect innings...10 of his 33 outings were for more than one inning... In those contests posted a 0.96 ERA (18.2IP/2ER)...Allowed runs in five of his first nine outings and then allowed a run in just one of his final 24 outings... In 14 day games did not give up a run totalling 14.2 innings... Allowed just five hits in those day game outings...When used on back-to-back days or with one day rest posted a 2.40 ERA in 20 games... Had a 3.77 ERA vs. the AL East and 1.65 vs. all other clubs...Began the season with New Hampshire (AA) until his recall to Toronto on July 13... Made 37 relief appearances for the Fisher Cats... Posted a 0-3 record with three saves and a 2.78 ERA... Has 11 outings of two or more innings... With runners in scoring position at AA limited hitters to a .218 average. Played the entire season with the Dunedin Blue Jays (A)...Made 48 appearances, all in relief, posting a 4.66 ERA (34ER/65.2 IP)...Posted a career high five saves. Made his first career start on April 30 vs. Fort Wayne (no decision)...Made five starts over 35 appearances with the Lugnuts. Made his professional debut as a member of the Gulf Coast Blue Jays on July 21...Allowed 5ER over 0.1 IP in that contest and allowed only 2ER in his other 12 outings over 16IP. February 17, 2019 San Diego Padres signed free agent LHP Aaron Loup. 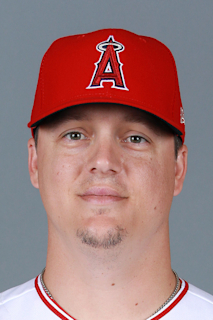 October 29, 2018 LHP Aaron Loup elected free agency. September 18, 2018 Philadelphia Phillies activated LHP Aaron Loup from the 10-day disabled list. August 2, 2018 Philadelphia Phillies activated LHP Aaron Loup. September 6, 2016 Toronto Blue Jays recalled LHP Aaron Loup from Buffalo Bisons. August 28, 2016 Toronto Blue Jays optioned LHP Aaron Loup to Buffalo Bisons. August 27, 2016 Toronto Blue Jays designated Aaron Loup for assignment. August 21, 2016 Toronto Blue Jays recalled LHP Aaron Loup from Buffalo Bisons. July 22, 2016 Toronto Blue Jays optioned LHP Aaron Loup to Buffalo Bisons. July 2, 2016 Toronto Blue Jays recalled Aaron Loup from Buffalo Bisons. June 15, 2016 Toronto Blue Jays optioned LHP Aaron Loup to Buffalo Bisons. May 28, 2016 Aaron Loup roster status changed by Toronto Blue Jays. May 21, 2016 Toronto Blue Jays sent LHP Aaron Loup on a rehab assignment to Buffalo Bisons. May 14, 2016 Toronto Blue Jays sent LHP Aaron Loup on a rehab assignment to Dunedin Blue Jays. September 1, 2015 Toronto Blue Jays recalled LHP Aaron Loup from Buffalo Bisons. August 17, 2015 Toronto Blue Jays optioned LHP Aaron Loup to Buffalo Bisons. August 26, 2013 Aaron Loup roster status changed by Toronto Blue Jays. August 23, 2013 Toronto Blue Jays placed LHP Aaron Loup on the paternity list. July 13, 2012 Toronto Blue Jays selected the contract of LHP Aaron Loup from New Hampshire Fisher Cats. March 31, 2012 Aaron Loup assigned to New Hampshire Fisher Cats from Dunedin Blue Jays. March 13, 2012 LHP Aaron Loup assigned to Toronto Blue Jays. April 15, 2011 Aaron Loup assigned to Dunedin Blue Jays from Lansing Lugnuts. April 2, 2011 Aaron Loup roster status changed by Lansing Lugnuts. September 23, 2010 Lansing Lugnuts activated LHP Aaron Loup from the 7-day disabled list. August 18, 2010 Lansing Lugnuts placed LHP Aaron Loup on the 7-day disabled list. April 2, 2010 LHP Aaron Loup assigned to Lansing Lugnuts from GCL Blue Jays. July 21, 2009 Aaron Loup assigned to GCL Blue Jays.